Marion Torza Fey, 75, formerly of The Villages, and loving wife of the late Leon W. Fey, died peacefully Thursday, November 29, 2018, at the Elizabeth House in Flat Rock, NC. Born January 5, 1945 in Hartford, CT, the daughter of the late Jack and Alice Torza, she grew up in Hartford and West Hartford and attended elementary and high school in Hartford. 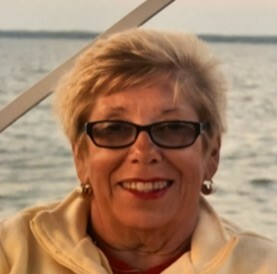 Marion graduated from Upsala College in New Jersey as a member of the class of 1964, then received her Master’s degree in Social Work from the University of Connecticut in 1966. Marion met the love of her life, Leon W. Fey, while employed as a social worker for the City of Hartford. They were married on December 18, 1965. She then worked at Hartford Hospital as a social worker for 15 years. Marion and Leon lived in Avon, CT during this time, where together they helped grow an antiques business. The time also saw the arrival of their son, Geoffrey, in 1972. They eventually moved to their dream home on the shoreline in Groton Long Point, CT, where Marion worked as Director of Social Services for Camelot Nursing Home and Pendleton Nursing Home. She and Leon also built several homes together in Groton Long Point. Marion later retired to The Villages in Florida, where she loved spending time with her cousin, Betty Ann Savino. She was involved in many clubs and served as neighborhood secretary of Natalie Villas. Marion especially loved playing Mahjong with Sally, Maureen, and Eva, and going out to dinner and the movies with Mary, Delores, Mary Ann, Ann, Linda, Janet, and Sharon. She also spent many great times with her college roommate and friend, Antionette “Toni” Smith. She was an avid amateur artist and loved painting scenes of her travels. Marion loved to travel with her husband and son, and later with her cousin and good friends. She felt very fortunate to be able to experience places like St. Barth’s, France, Italy, Australia, the Galapagos Islands, Alaska, the Arctic, and others. This past year she moved to Asheville, NC to be close to her family. Marion touched so many people's hearts with her kindness and compassion, and the love she had for her family and friends will never be forgotten. Aside from her son, Geoff, Marion leaves a daughter-in-law, Vivian, their sons Bradyn and William, a brother, Jack Torza, his wife Debbie, son Jack Torza and his wife Angela, daughter Amy Deuell and her husband Danny, and daughter Jennifer Nosse and her husband David. She is also survived by her sister-in-law, Viola Tomm, and her daughter Serena. The Memorial Service will be held at 10:30 a.m. on Saturday, December 8, 2018 at Noank Baptist Church, 69 Main Street, Groton, CT. In lieu of flowers, memorial contributions may be made to St. Jude Children’s Research Hospital, https://www.stjude.org.